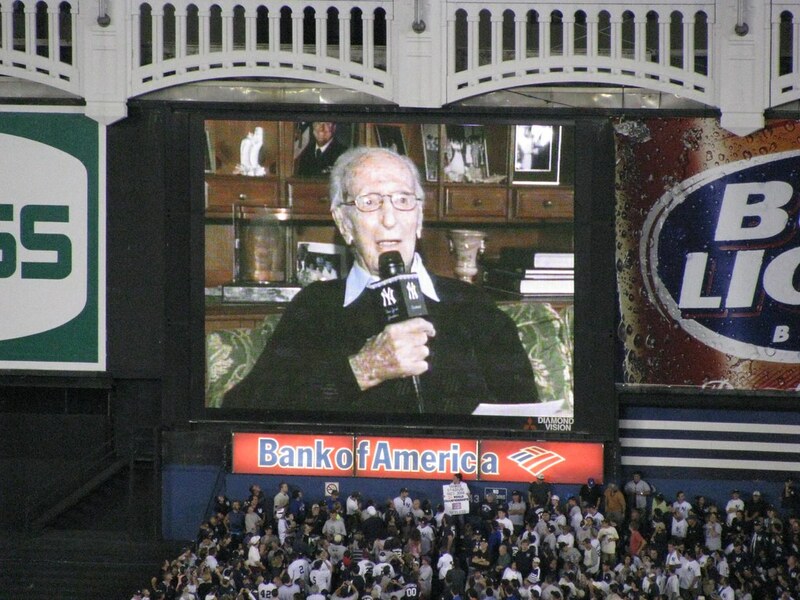 While the Yanks honored Bob Sheppard last night by silencing the public address announcer — including the between-innings barrage of scoreboard noise — George Steinbrenner took center stage with constant video tributes and a longer piece reflecting on his legacy prior to the game. Today, it’s all about Bob, as the Yanks’ dearly departed voice will be feted this afternoon. After airing a pre-Old Timer’s Day video tribute, the team will put on a special performance during the 7th inning stretch to remember the 57-year veteran of Yankee Stadium. With another emotional day on tap, the Yankees will get down to business on the field this afternoon, and it should be another good one. Fresh off of their thrilling 5-4 walk-off last night, the Yanks will send the streaking A.J. Burnett to the mound. On the season, Burnett is an unimpressive 7-7 with a 4.75 ERA. His K/9 IP is down to 6.8 and his K/BB ratio is 1.76. But after a terrible stretch in June, Good A.J. has come roaring back. Over his last 13.2 innings, he’s allowed just a pair of earned runs on nine hits and five walks while striking out nine. The Rays, however, have a bunch of good left-handed hitters who could give A.J. problems, and he has not pitched too well against Tampa this year. He’s 1-1 vs. the Rays in 2010, but he’s allowed eight earned runs in 13.2 innings while surrendering 13 hits and seven walks and striking out just five. Opposing Burnett will be Jeff Niemann, another live arm in the Rays’ rotation. He’s 7-2 with a 2.77 ERA, but he’s outpitching his FIP by a considerable amount. With that mark of 4.21, he could be in for a regression against a good-hitting Yankee team playing in front of a boisterous crowd. This one’s on FOX, and it’s supposed to start at 4:05 p.m. Game time temperatures are expected to be in the low 90s.